Our busy lives can lead to us experiencing high levels of anxiety, suffering from memory loss or even a decrease in cognitive function. But adding a simple hobby to your life can help you in focusing your mind away from the stress in your day and letting you learn a new skill. One such hobby is the ancient art of paper folding, Origami. Learning origami has great benefits for both your mental and creative capabilities. Often used in therapeutic settings, Origami is also regarded as a great treatment for anxiety. People who take up the hobby also report that their hand-eye coordination has improved and, for children, it can help teach sequencing skills. Importantly too, learning Origami helps all of us to analyze and carefully follow instructions. But it’s not just a hobby for the mind, as it can also be used to create a wide range of beautiful things. From birthday party decorations to décor items you can use for your home, the products of your new found hobby can be used in a number of ways. Your child is turning three and loves animals? Decorate their party venue with a bunch of paper-folded animals for a cute touch. Because it’s an ancient art, many books, resources & youtube videos have been created to teach this delicate skill. But, with your trusty Lumia in your hand, you don’t need them. 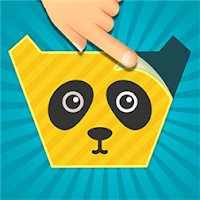 Head on over to the Windows Phone store on your handset to discover funky tutorial apps that will help you get folding. To start you off with learning how to fold basic shapes, Origami (Free) has easy lessons and schematics for you to follow, as you work towards acing more complex shapes and folds. And when you’re feeling confident enough to try more complex shapes, check out Origami 3D. 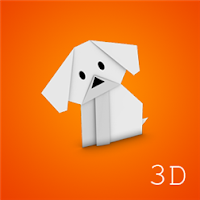 Listing more than one hundred shapes and forms to set your fingers folding, this app includes 3-D animations to help you learn as you fold and check that you’re on the right path to creating your paper masterpiece. 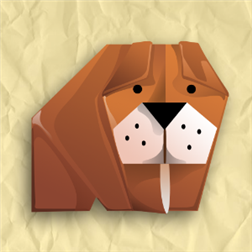 Origami Book (Free) gives you step-by-step instructions on how to create cute animals using just a single sheet of paper. Learn how to fold a crane, dog or even a frog, and get the kids to colour in your creations. 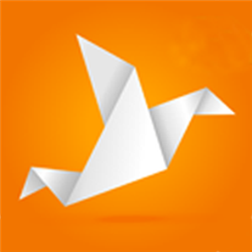 Or if your children would prefer to paper-fold for themselves, check out Origami for Kids (Free). With cute illustrations and great guidelines, your kids will be folding away like they were born to do it in no time. No paper? No problem. Paperama 2015 (Free) lets you get your Origami game on without needing a sheet. With 3-D folding effects and more than seventy puzzles to choose from, Paperama challenges you to create shapes using a set number of folds. So grab your paper, open your Lumia and let’s get folding. You can do it during a lunch break or during a rainy afternoon with the kids. And mind it. it's not as easy as it seems as sometimes you will be stuck at some of the folds that you need to do but with more practice you will become a master of the same.